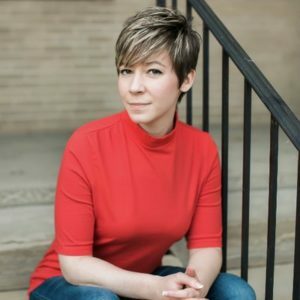 On this episode Katey interviews advocate Ashley Easter about her upbringing in the stay-at-home daughter movement, how reading scripture on her own paved the way for her to leave fundamentalism, and how she works to end abuse in all forms, both within the walls of the church and beyond. Ashley is a writer, speaker, and a powerful advocate for survivors of abuse, especially those who have been abused by leaders within their faith communities. She is the author of The Courage Coach: A Practical, Friendly Guide on How to Heal From Abuse. She’s also the founder of the Courage Conference, a gathering for survivors of abuse and those who love them to learn about ways that they can find healing from these past traumatic experiences. You can find her at ashleyeaster.com. For those wanting to learn more about abuse in faith communities, Ashley recommends an episode of The Liturgists Podcast that takes a deep dive into the subject of spiritual trauma. Their show notes include a comprehensive list of resources, so be sure to check that out. 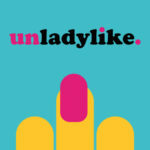 Katey talks about the Unladylike podcast’s interview with former-Mormon Kate Kellywho was excommunicated from the Church of Latter Day Saints for her advocacy for women’s ordination in the denomination. We applaud the courage of Jules Woodson who bravely shared her story of abuse in the church when her youth pastor, Andy Savage, sexually assaulted her. Savage received a standing ovation when he shared this story with his congregation, failing to mention the nature of the abuse. Woodson spoke to The New York Times to share her side of the story. If you’d like to learn more about the Stay-at-Home-Daughters Movement, check out this piece. For another woman’s story of growing up in the patriarchy movement, read this. Check out Ashley’s book on healing from abuse and her *free* resource on how to spot religious cults. If you have a resource you want to share or any other feedback for us, please send us an email.